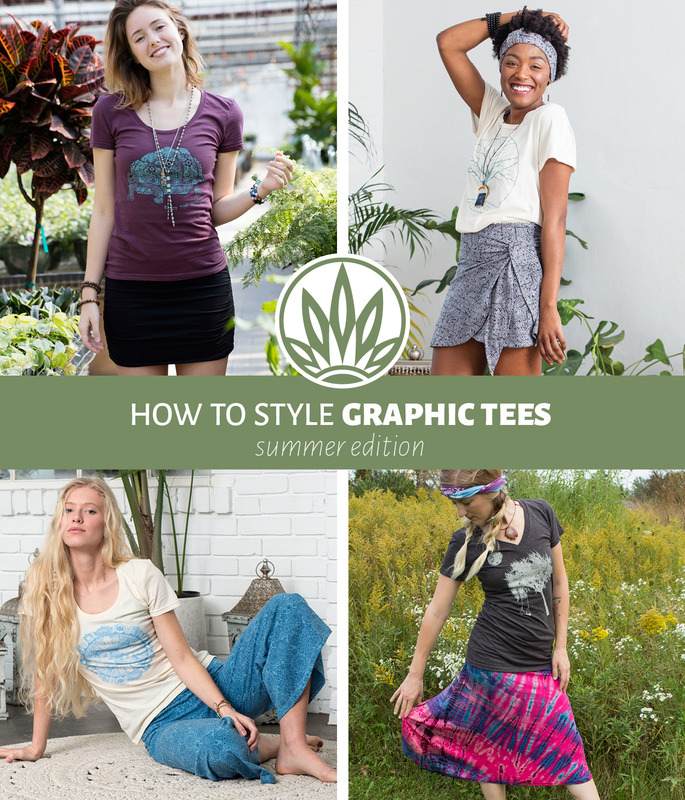 Looking for new ways to wear your graphic tees? Want to make easy summer graphic tee outfits and not sure what to pair all of those tees with? T-Shirts are awesome, comfy and versatile (obviously we think so since we make a bunch of them) and they’re super easy to style. 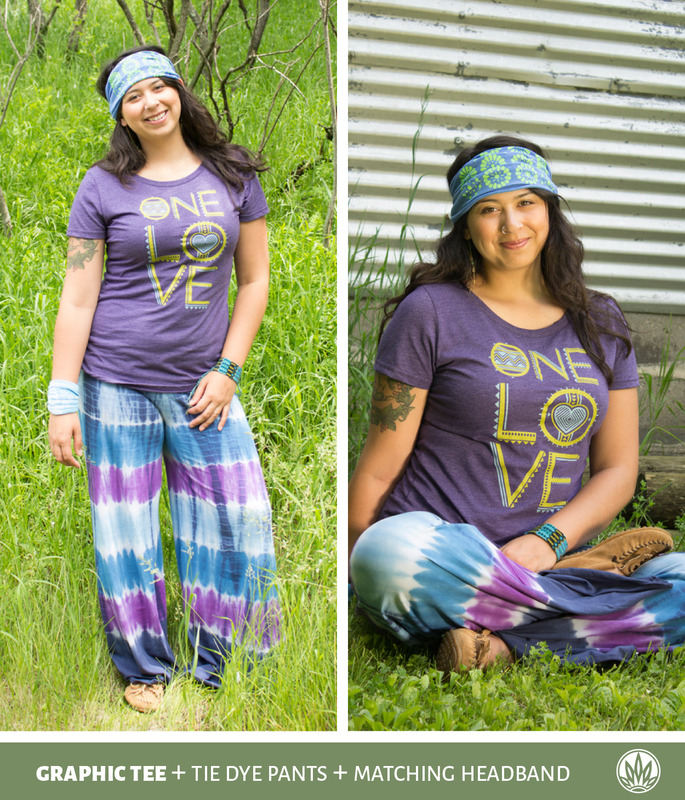 Our philosophy is wear whatever makes your heart sing, but here’s some outfit inspiration to get ya goin’! Keep the focus on the graphic with a basic mini skirt or turn it up a notch with a wrap skirt – extra credit if it’s printed! Funk it up with layers of jewelry and accessories. We love an easy headband for this outfit. Crop pants are the best easy-breezy summer bottoms. Keeping you covered from too much sun, yet cool, they pair perfectly with a graphic tee. Plus, patterned crop pants are so fun! 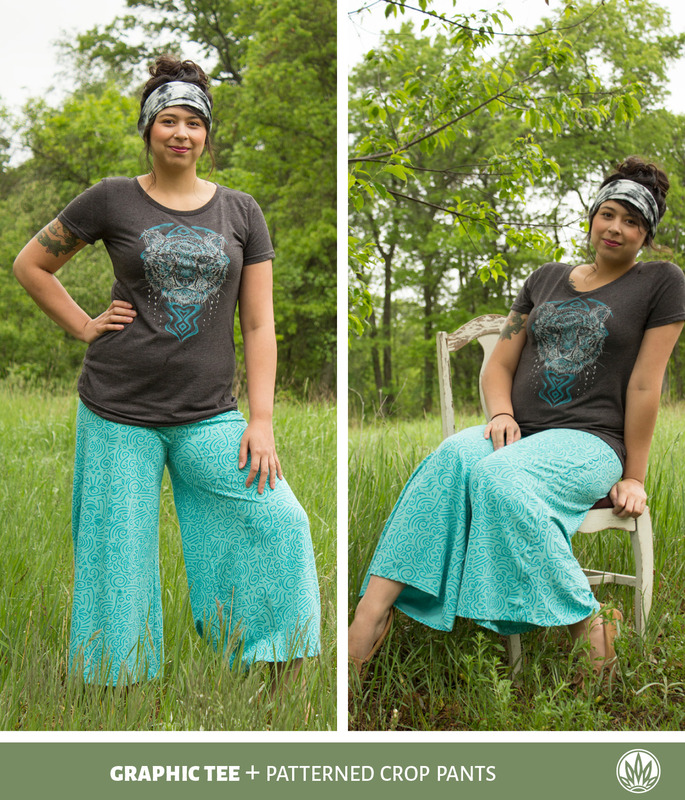 You pretty much can’t go wrong with flared pants, ever. 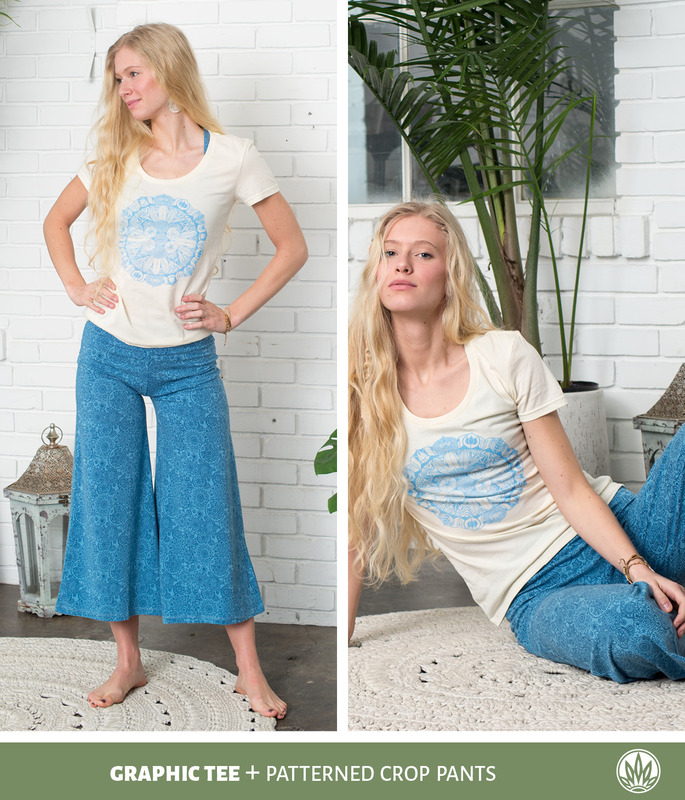 And your hippie soul probably already has a few in your closet  Flare jeans, flared yoga pants… anything goes! They’re your graphic tee’s best friend – and make the perfect graphic tee outfit. The best old stand-by: tie-dye. Tie dye seems to wax and wane in the fashion world, but never goes away. Probably because it’s so versatile and for some reason makes every outfit 10x more joyful! 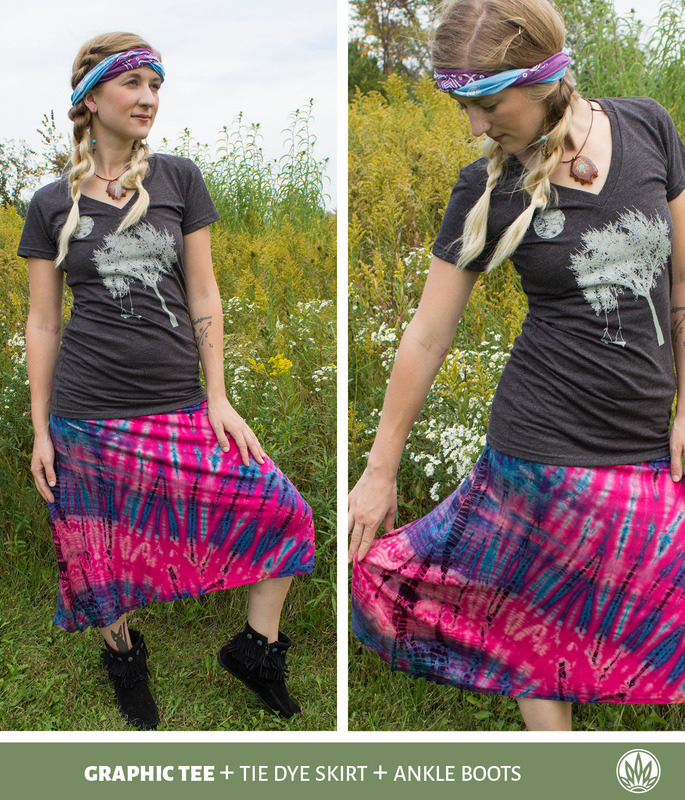 Pair your graphic t-shirts with tie-dye for a look that’s one-of-a-kind, just like you. 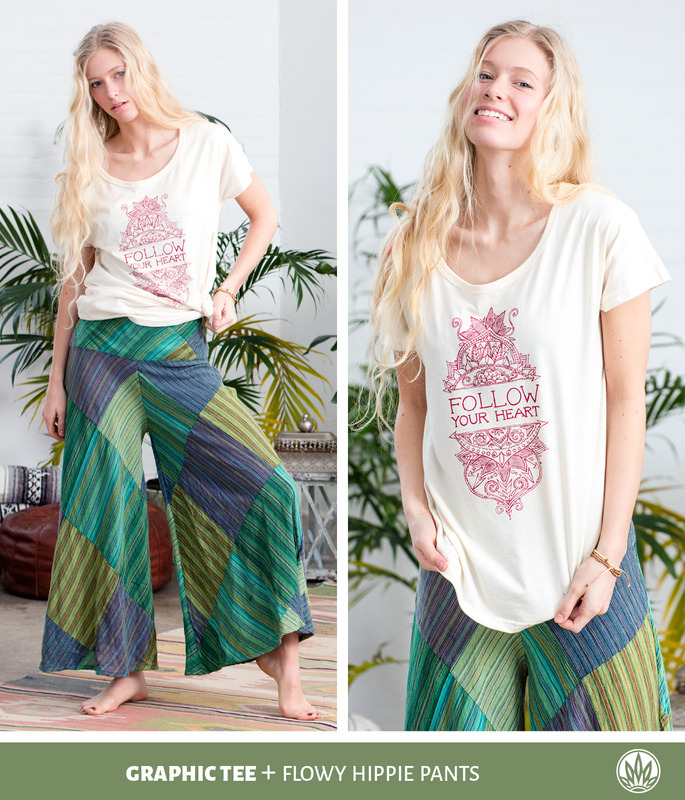 If you feel like you need more graphic tees in your life, check out our Soul Flower graphic tops for women and men. All our designs are original art created in-house (probably barefoot) while listening to sweet jams. We print our tees in the back of our Minnesota warehouse using straight-up man power and phthalate-free inks. The shirts we use are either 100% organic cotton or a mix of organic cotton + recycled polyester made in the USA from plastic beverage bottles. 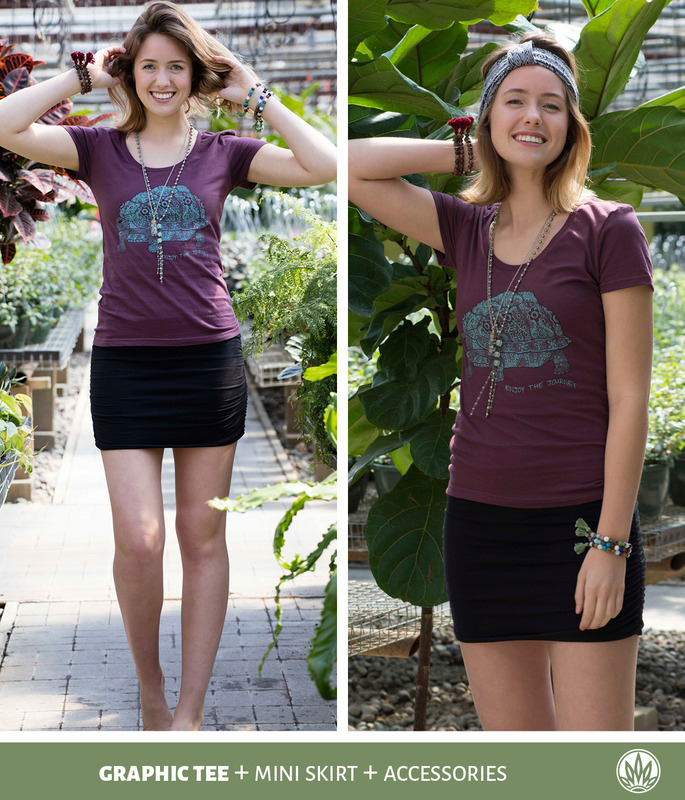 They’re super eco-friendly, and we create new designs all the time! Follow us on Facebook or insta to see our latest designs, or join our newsletter! What’s your favorite Soul Flower tee (old or new!) and how do you style it? Shop>> Graphic Tank Tops too!